Beautifully decorative silver heart shaped bowl with embossed patterning. Modern, contemporary design, ideal for use as a vintage style fruit bowl or trinket dish. Also a pretty accessory for a wedding table display to add that touch of vintage glamour and elegance. Also available in a smaller size. A stylish and decorative piece that can be used for a practical purpose or ornamental display. 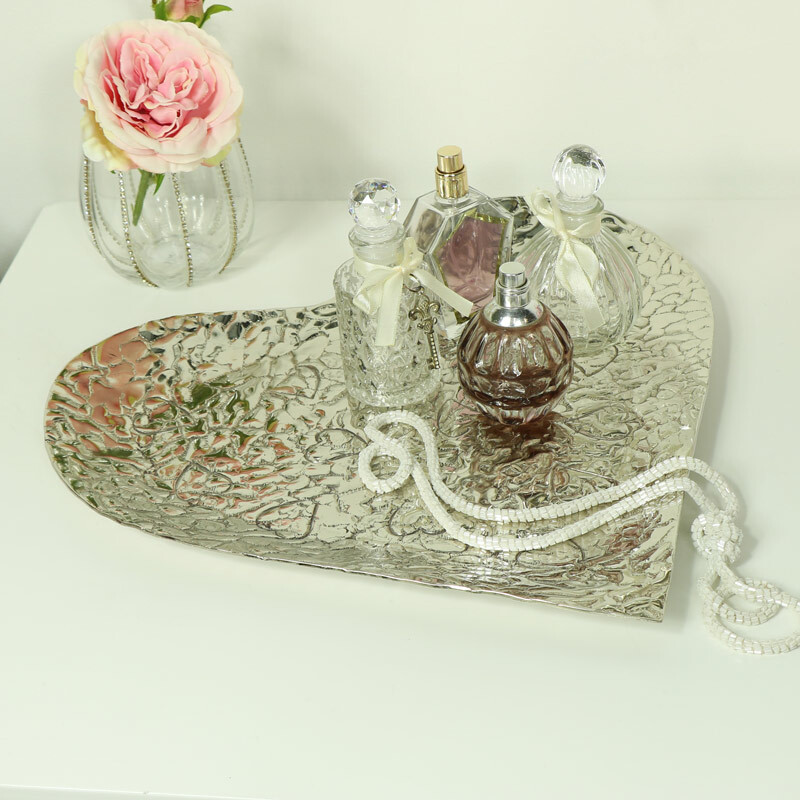 Beautifully decorative silver heart shaped bowl with embossed patterning. Modern, contemporary design, ideal for use as a vintage style fruit bowl or trinket dish. Also a pretty accessory for a wedding table display to add that touch of vintage glamour and elegance. Also available in a smaller size. A stylish and decorative piece that can be used for a practical purpose or ornamental display. Made from metal in a polished silver colour with embossed detailing, White cushioned pads on the bottom for protecting surfaces.